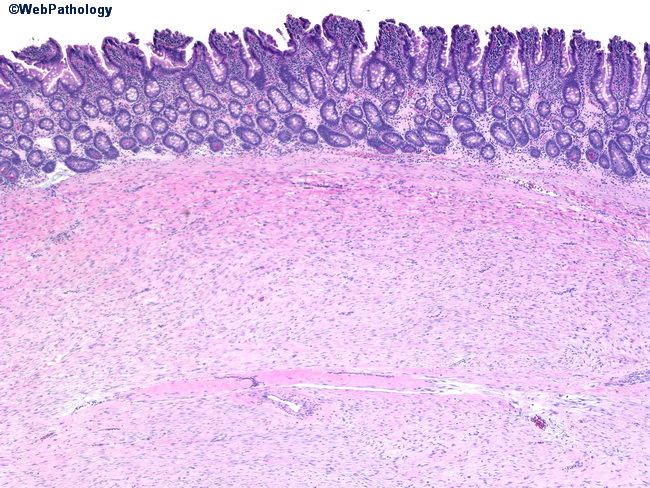 The cells in small intestinal GISTS are spindled and often bland. This example is not hypercellular, and fascicle formation is not evident. The cells do not penetrate the muscularis mucosae, though the overlying mucosa may demonstrate reactive changes. Most GISTs are sporadic, though they may occur in the setting of neurofibromatosis 1 or Carney triad.